Heart & Soul Hospice offers a range of hospice services to you and your loved one, including coordinated care between your physician, nursing, social services, grief and bereavement support. Heart & Soul Hospice’s goal is to help patients and their families enjoy the time they have left. Heart & Soul Hospice is a not-for-profit, faith-based organization and a proud member of the Presbyterian Manors of Mid-America family. Presbyterian Manors of Mid-America has been providing quality senior services guided by Christian values for more than 65 years in Kansas and Missouri. Heart & Soul Hospice strives to improve quality of life by preserving comfort and dignity during a person’s last days. Families are supported, too, through bereavement counseling before and after their loved one’s death. 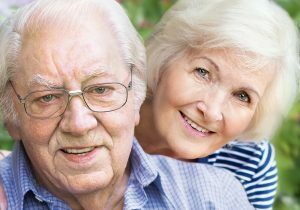 Because the nature of dying is unique and personal, comprehensive care programs are tailored to the needs of the individual. Our One More Time program provides opportunities for patients to experience moments of joy and meaning by fulfilling life-enhancing wishes. Heart & Soul Hospice also offers vigil care in the final hours of life. Many people believe hospice is only for the last few days or weeks of life; however, hospice care is designed to improve the quality of life and help the patient and their families make the most of the time that’s left. An early admission to Heart & Soul Hospice helps the patient and family get the full benefits of hospice services, including emotional support and family services that can ease those final months of life. Heart & Soul Hospice is a member of the National Hospice and Palliative Care Organization, and Heart & Soul Hospice of Wichita is CHAP accredited.